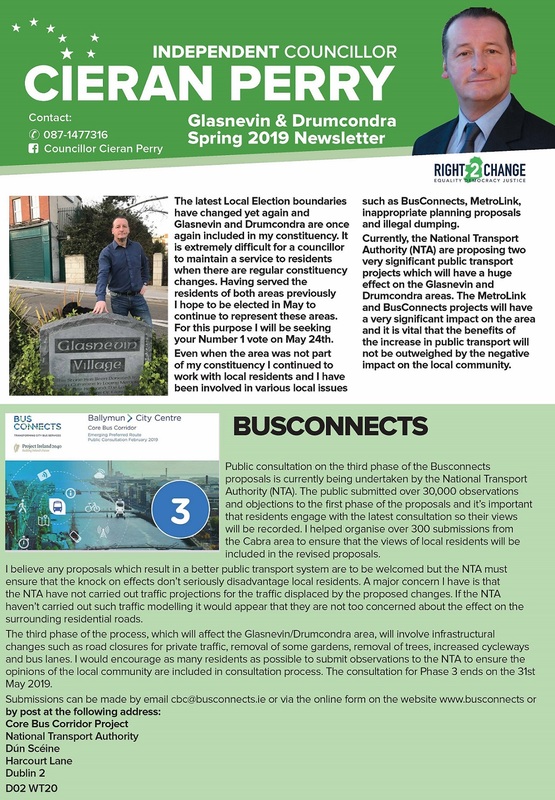 A Leaflet from Cieran Perry who is running as an Independent in Cabra Glasnevin for a seat on Dublin City Council. 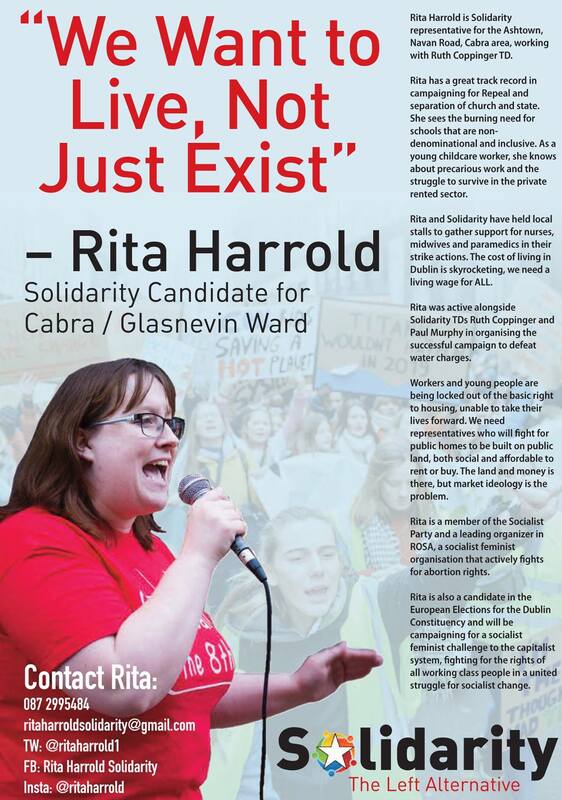 A Leaflet from Rita Harrold of Solidarity who is running in Cabra Glasnevin for a seat on Dublin City Council. She is also the Solidarity candidate for Dublin in the European Elections. 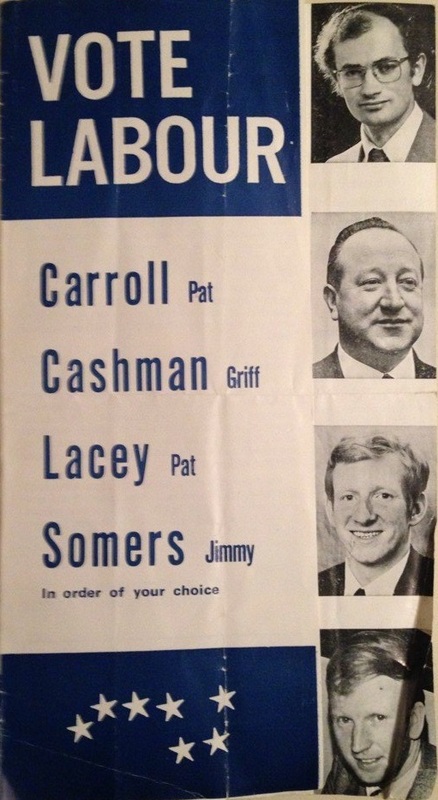 From the 1974 Local Elections a Leaflet from Pat Carroll (husband of Joan Burton), Griff Cashman, Pat Lacey and Jimmy Somers who were running for The Labour Party in Area Number 4 Cabra / Arran Quay for a seat on Dublin Corporation. Pat Carroll was elected polling 1,109 votes. The other candidates were unsuccessful Jimmy Somers polled 1,268, Griff Cashman 554 and Pat Lacey 422 votes. The leaflet contains some interesting policies on Housing for The City. 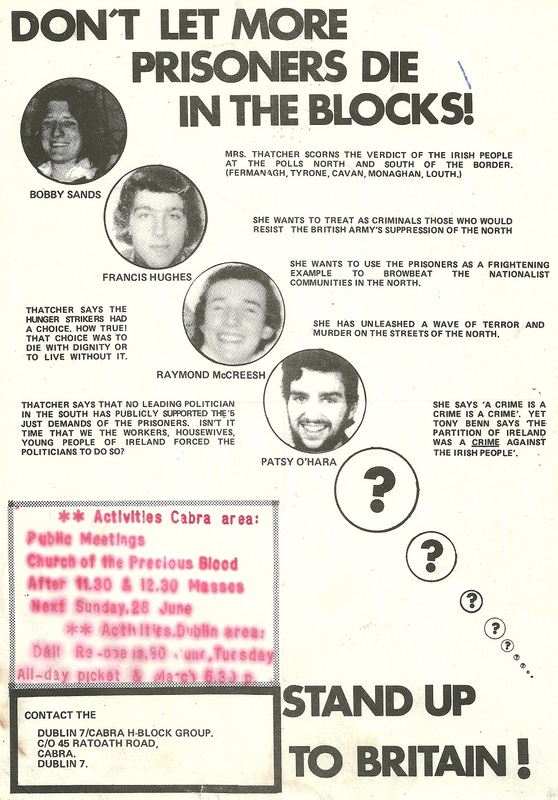 From late June 1981 a leaflet issued by the Dublin7/ Cabra H-Block Group “Don’t Let More Prisoners Die In The Blocks” .At this stage four of the Hunger Strikers had died. Bobby Sands, Kieran Doherty and Paddy Agnew had all been elected to The Dail or Westminster. The leaflet also advertises activities that were coming up.